Hey guys, would you support Project Giana for the next HIB if there was enough demand? They got funded by Kickstarter recently and I’d love to see them get more publicity via a Humble Bundle! I’m sure Machinae Supremacy would love the extra publicity also by offering an OST download via the bundle too! 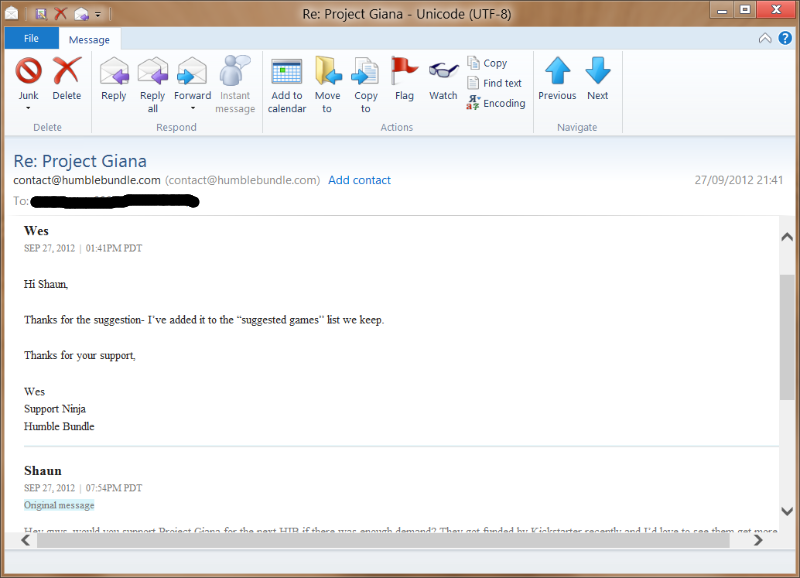 Re: Project Giana for HIB7!? First let's get it greenlit. Seriously, I'm surprised at how many people don't realize just how bad of an idea Greenlight is. I can guarantee the only Project Zomboid-level games with a huge fanbase will actually be able to drum up enough hype to get greenlit in a reasonable timeframe. It was so much better when people who actually knew something about videogames decided if they got in or not. ...are you saying it's possible to get it in a Bundle without it being available on Steam outside a Bundle?